These cigars are one of the leading flavored cigars in the world. Earn up to 64 Points Points. Tatiana’s are one of the leading flavored cigars in the world. Crafted from high quality Dominican tobacco, an Indonesian wrapper and finished with a Dominican wrapper. Every stick is expertly finished with premium quality flavors. The end result is a smooth cigar which will delight your senses and fill the room with a wonderful aroma. The Tatiana Classic is no exception to quality. Perfectly constructed to draw smoothly and burn evenly throughout the entire cigar. Weighing in at a comfortable 6” long by 44 ring, this stick will last you a good 30-45 minutes. 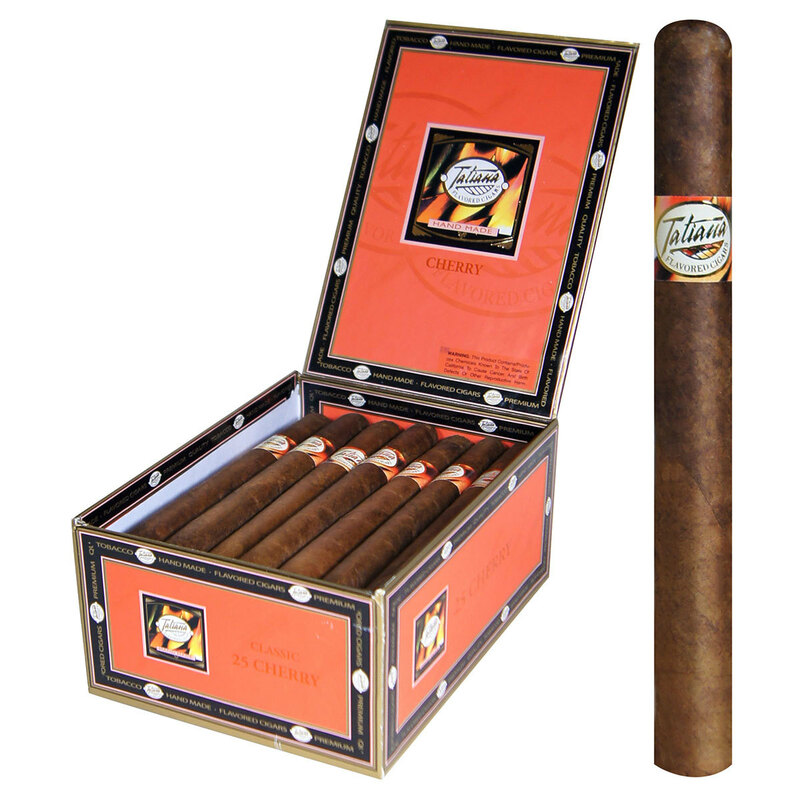 Tatiana Classic Cherry: Sweet cherry flavor give this cigar a wonderful flavor and aroma! Smooth and mild bodied, this cigar is sure to please.